The Sabian AA 16” Raw Bell Crash Cymbal delivers an intense, cutting tone to produce sharp, bright accents. Featuring a thin weight, this .. The Sabian AA 16” Raw Bell Crash Cymbal delivers an intense, cutting tone to produce sharp, bright accents. Featuring a thin weight, this musical crash has a fast attack to ensure quick bursts of strong sound. The beauty of this crash cymbal is its intensity. It’s unapologetic in its brightness, cutting tone and strong sound. That’s why it’s been voted the Sabian cymbal vote winner. Featuring a classic thin weight, this cymbal was made to cut through high volume performances. Offering a beautifully musical sound, this crash cymbal opens up quickly to produce a fast flash of accenting tone. 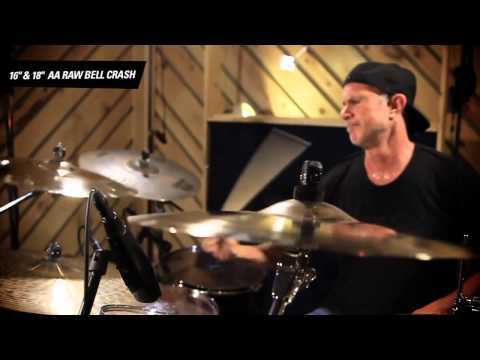 For fast, bright, musical accents, buy the Sabian AA 16” Raw Bell Crash today from PMT Online.